It was a wild weekend for weather and there is no indication that it will change at all this week. South Westerly winds gusting in excess of 50mph battered the South coast making many of our favourite marks unfishable. However this did not deter those in need of a fishy fix, myself included, as we used the weather to our advantage and found those sheltered marks to catch some fish. I decided to concentrate on Portland Harbour, in the hope that the Bass were still around. Although I was struggling just to stand at times, I was able to use the wind at my back to get some long range casts out to cover a lot of water. The wind whipped up wavelets in the harbour, which makes conditions perfect for large surface lures. Unusually the surface lures seemed to attract the smaller Bass, so I switched to some new lures I have been reviewing. 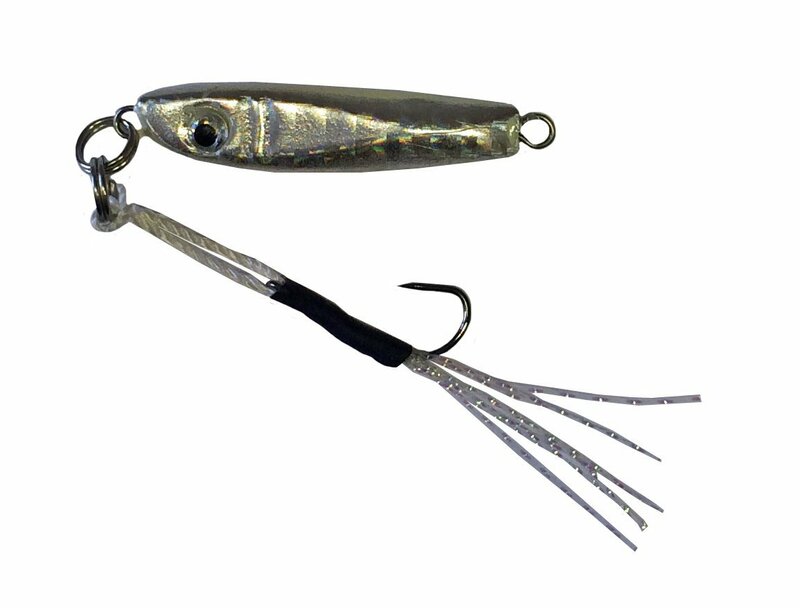 Over the course of the summer I have been advising Fladen on a number of items of tackle including the range of Rockbuddy LRF lures. Although the range is primarily aimed at the LRF market many of the larger sizes in the range cross into the more traditional lure category. I knew from watching the gulls and Cormorants feeding that the bait fish in the harbour at the moment are small, so I chose one of the 5.8cm micro shore jigs weighing 10g in silver. With the wind behind me I was able to easily hit 70yds. This was just on the edge of where a number of birds were working. First cast resulted in a small Bass which I quickly landed and released. Was this just a lucky coincidence? No! after a dozen casts I had managed to land another two. As the shoal moved out beyond my casting range I moved in search of more Bass. It didn’t take me long to locate more Bass that were eager to take my lure. In the end I managed 11 Bass. Most were small but I did manage two that were over 2lb. and given the conditions I was more than happy with that result. I will be carrying out a lot more field testing of the lures, but if you want to try for yourself then they are available online here or you can buy them locally at Weymouth Angling Centre. Wests Sea Angling club held there last match of the year at Preston beach on Saturday. I have long considered Preston beach to be a very under rated mark, and the guys that braved it on Saturday night proved just that. The club managed to record 11 species in their match including, Thornback and Small Eyed Rays, Smoothound, Bass, Sole, Weaver fish and Cod. I know where I might be heading for my next fix. 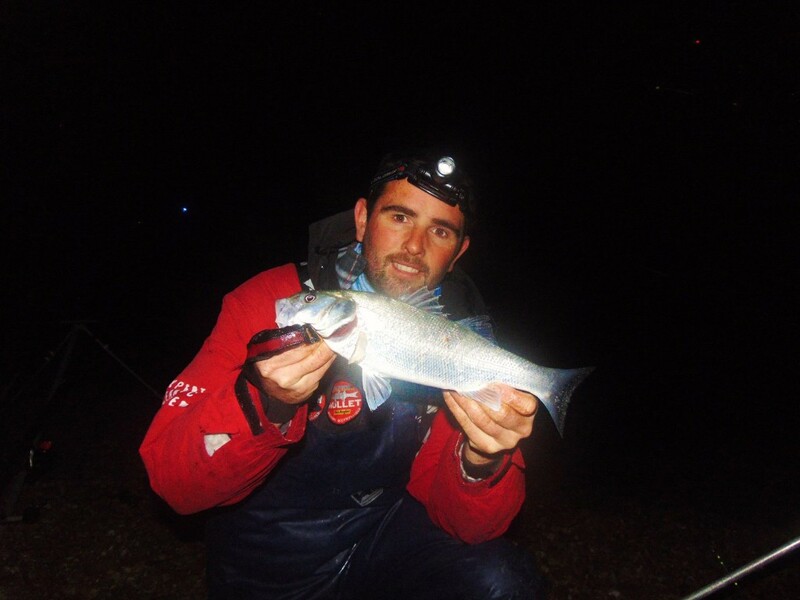 We have some great articles for you this week including Leo’s report on Poole, Allan’s latest boat trip and something for you predator anglers from our newest writer Jo Stephenson who recently took part in the excellent BBC fishing program Earth’s Wildest Waters: The Big Fish. We are also hoping to roll out a few changes on the site this week. Mainly the return of the weather and tides in an area that everyone can find easily. Portland: Your only option for Portland is the East side of the Island. Fishing from the high points at Chine will give you access to Wrasse, Pollock and possibly Bass. 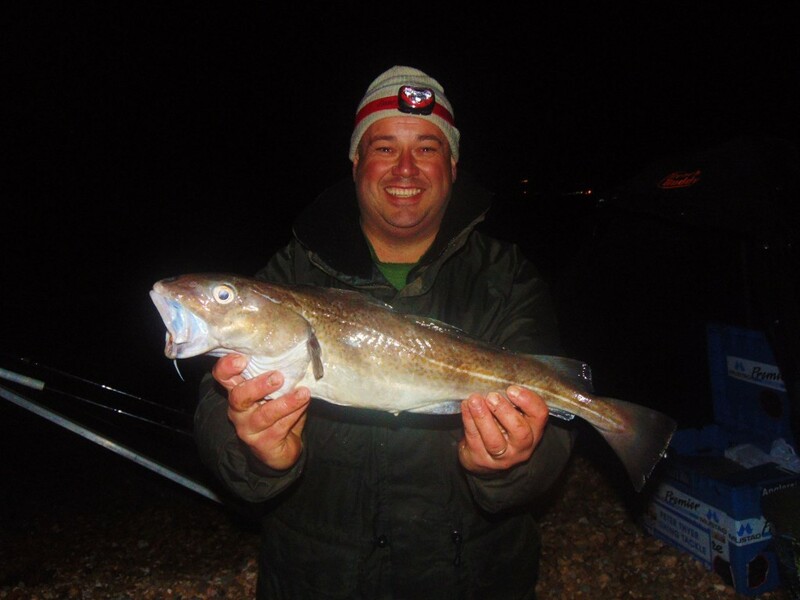 Night tides will produce large Rockling, Bull Huss and Conger from the same marks, but access to the shore to land the bigger fish may be a problem. 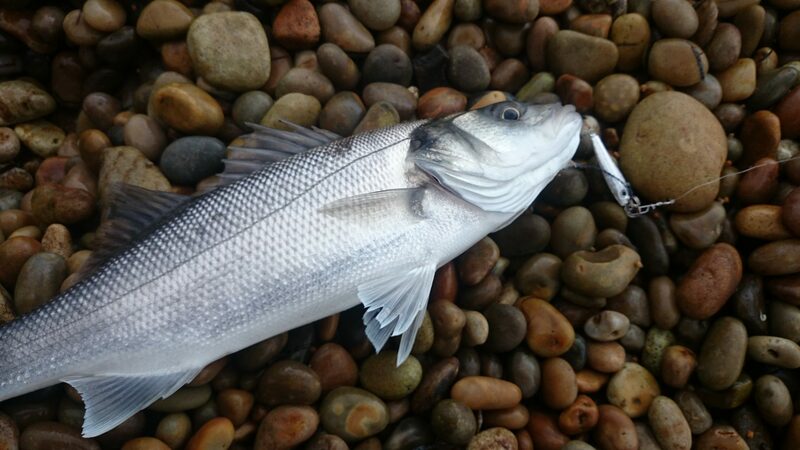 Portland Harbour: Find a mark out of the wind and you have a good chance of Bass, Wrasse, Pollock and Flounder, especially if you target the around around Sandsfoot Castle and along the Rodwell trail near the Welworthy social club. Weymouth Bay: The water in the harbour is remarkably clear, despite coloured water coming in through the sluice gates. I was able to spot a couple of Flounder near the Radipole end. As you can see from the report from Wests SAC competition Preston Beach is fishing exceptionally well. It offers comfortable fishing in these conditions and there were reports of plenty of Bass being caught close in to the shore in the surf. 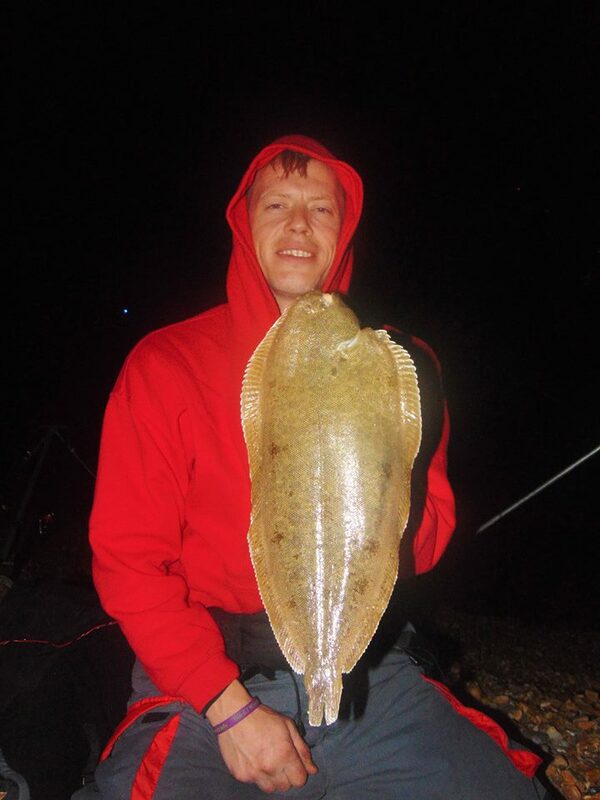 Cod sessions will be starting from the 1st of November, as will general bait fishing sessions. Why not think about a short lesson to improve your casting and fishing skills. 2 Responses to "A wild weekend"
Ragworm is a good bait for a lot of the species other than the Cod, Rays and Smoothound. 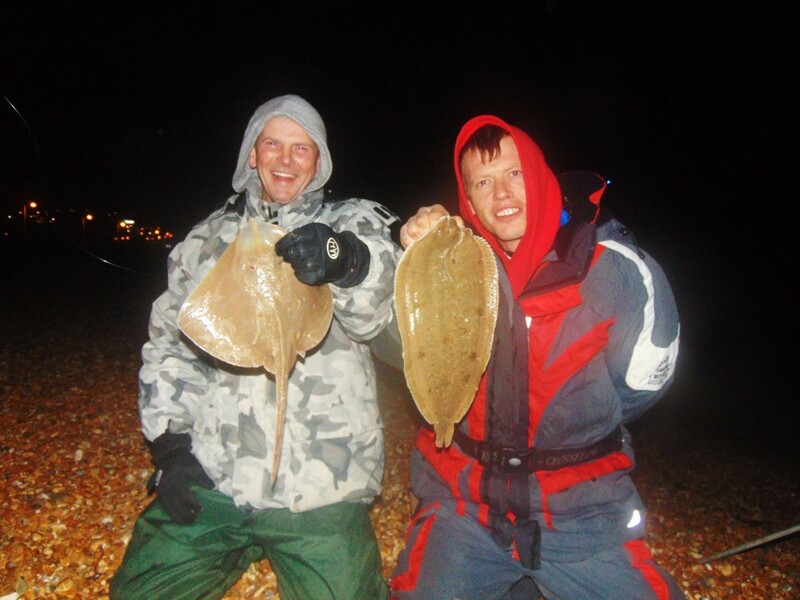 They like larger baits with Peeler Crab, Whole squid and large Lugworm baits normally doing well. Rays like Sandeel or Mackerel, but they also attract the dogfish.